If raising the World Series banner at Kauffman Stadium on Sunday wasn't enough, Tuesday's awarding of the Series rings was the just the excuse Up to Date was looking for for a trip to The K. We take you behind the scenes as we talk with sportswriters, the team's official scorer, the man behind the public address system and just what it takes to secure that World Series trophy. In recent years, baseball games have become highly-produced multi-media events. 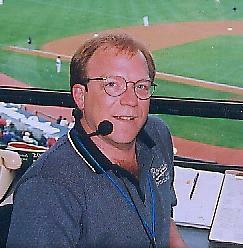 But despite all the changes technology has brought, two aspects of baseball remain the same: the sport and the announcer. I wouldn't make a good Royal. In Game 4 of the ALDS in Houston, after the Astros hit back-to-back home runs in the seventh to go up 6-2, facing near-certain elimination from the postseason, I gave up. Stopped watching. Walked out of the bar, swallowed the bitter bile gathering in my throat, looked up resentfully at blue sky and thought it might be a good time to rake some leaves. Bring on football season, I thought. 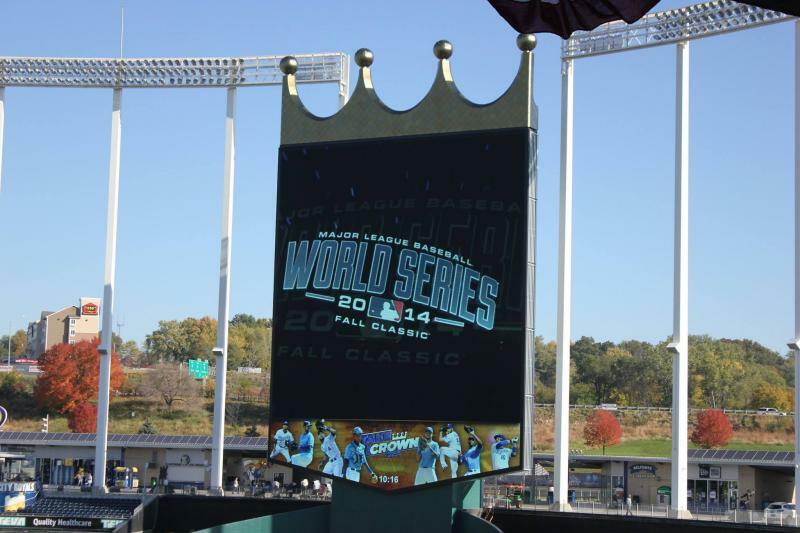 On the eve of the 2014 World Series, Up to Date broadcasts live from Kauffman Stadium, the "center of the sports universe." During the hour we look at the team's chances in this year's series, what makes the Royals comeback so fascinating, how the staff of the Royals and Kauffman Stadium are preparing for packed houses and an onslaught of world media, and some new additions to the Royals Hall of Fame. Many Royals fans couldn't afford tickets to the World Series, but they wanted to be as close as possible to the historic game. Hear how they "watched" the game from the parking lot.